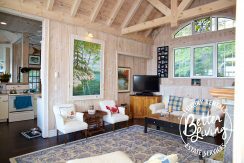 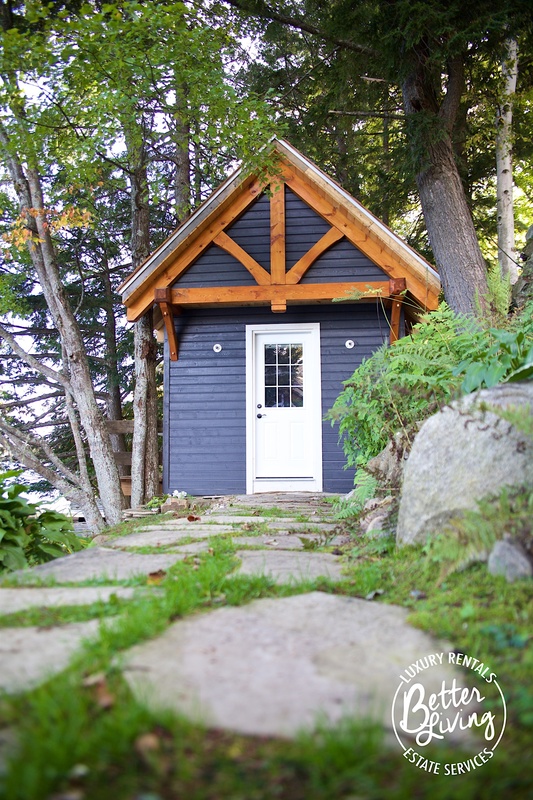 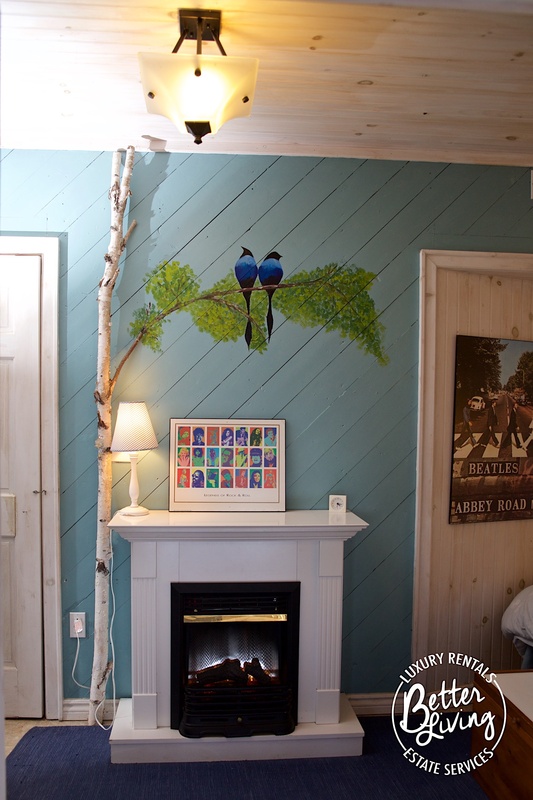 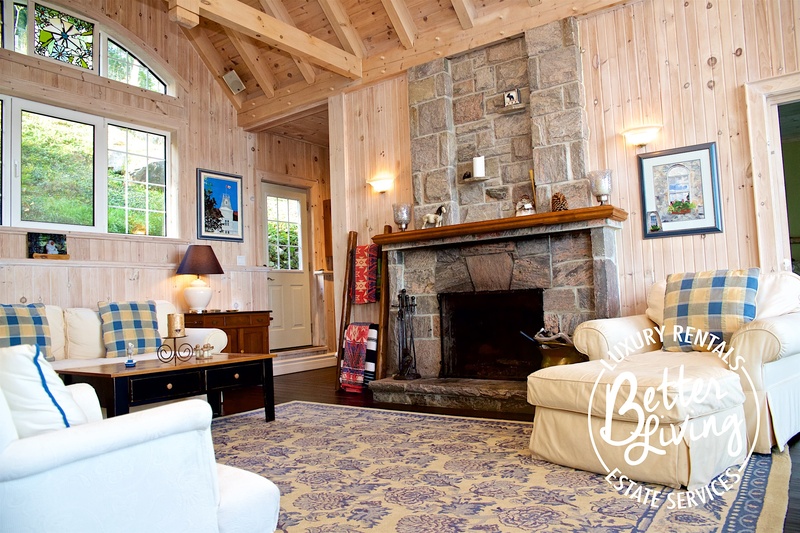 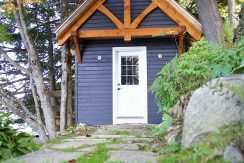 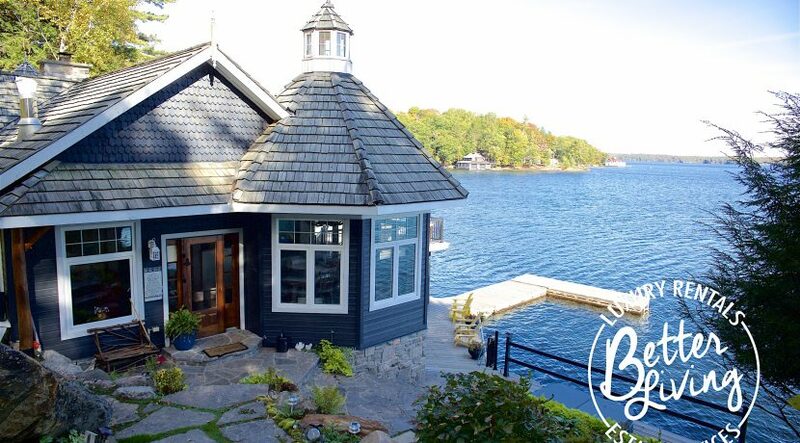 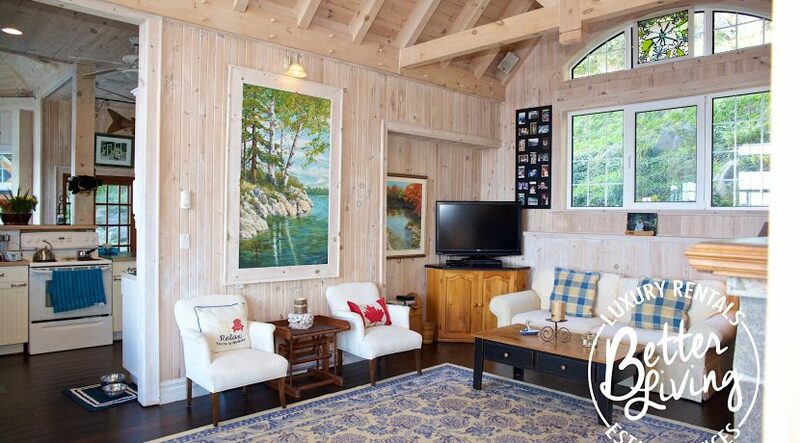 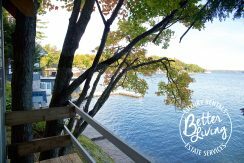 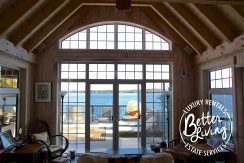 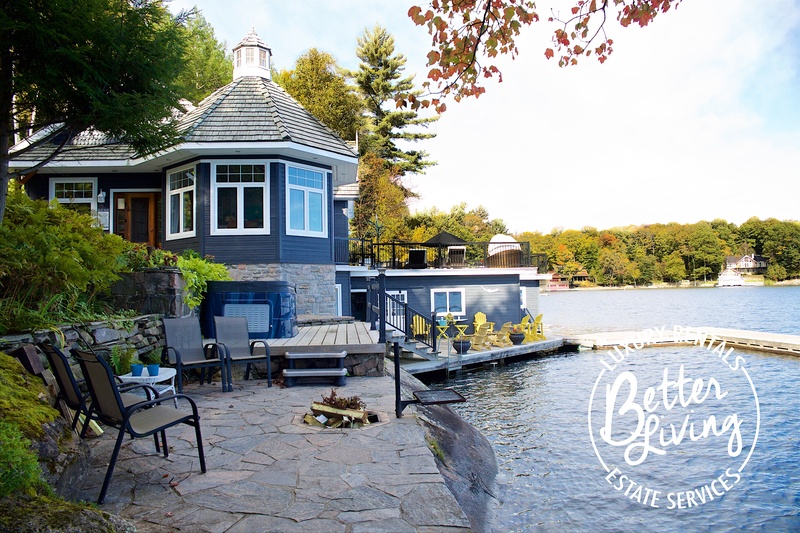 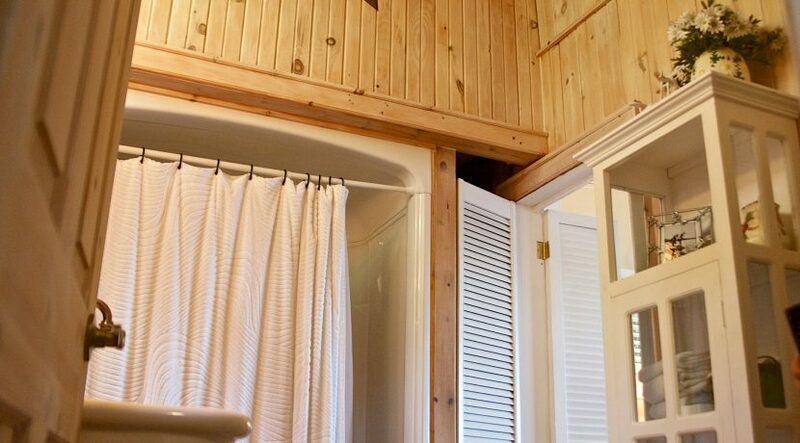 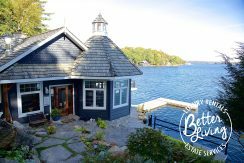 One of the very few original mixture of lake front cottages with a boathouse on Lake Rosseau, with stunning sunrises and open North East views. 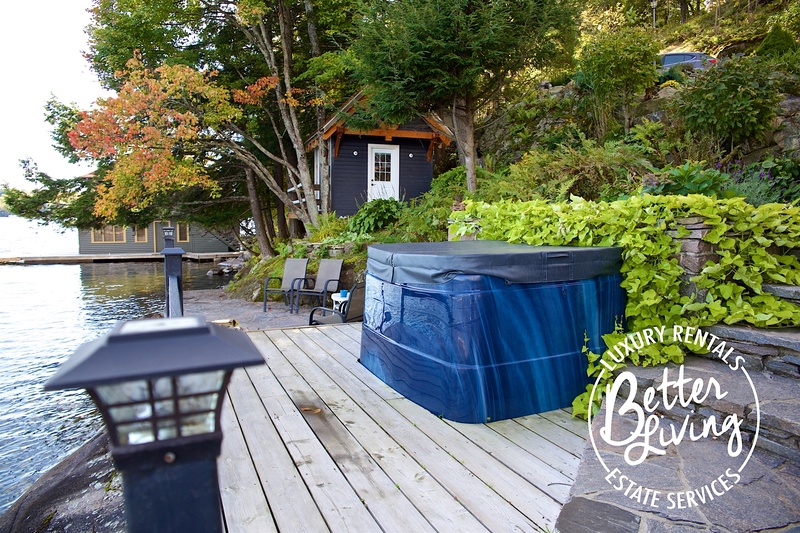 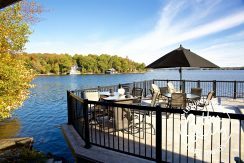 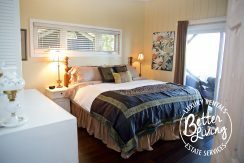 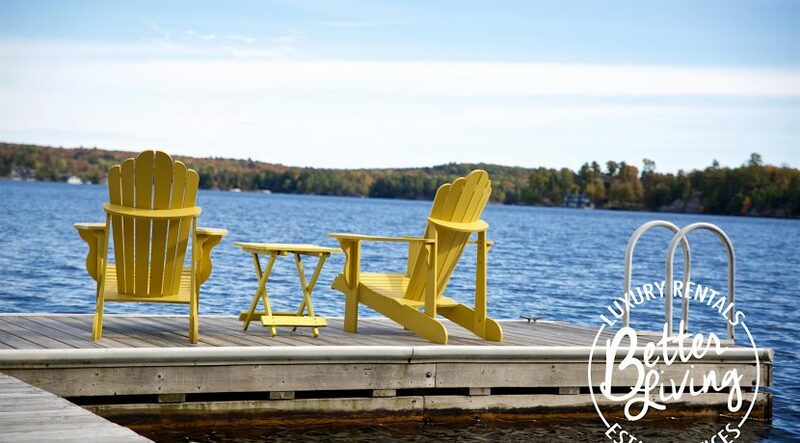 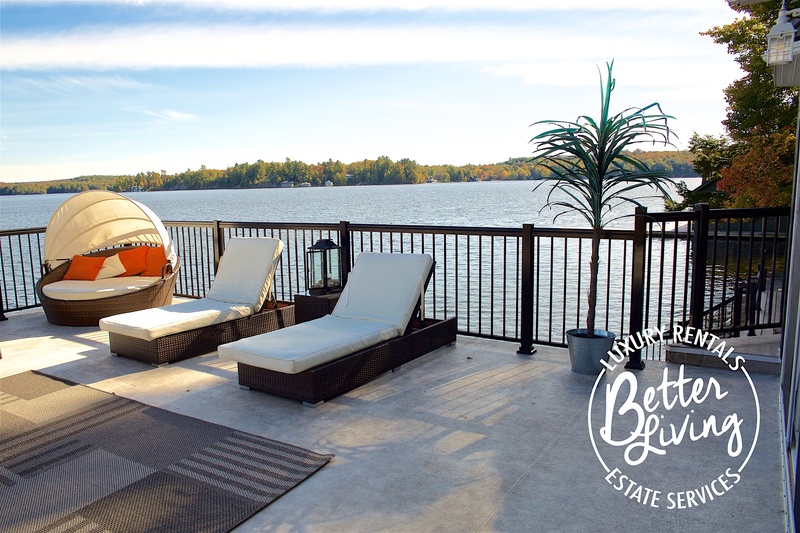 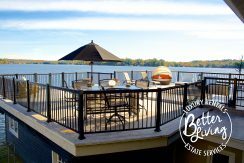 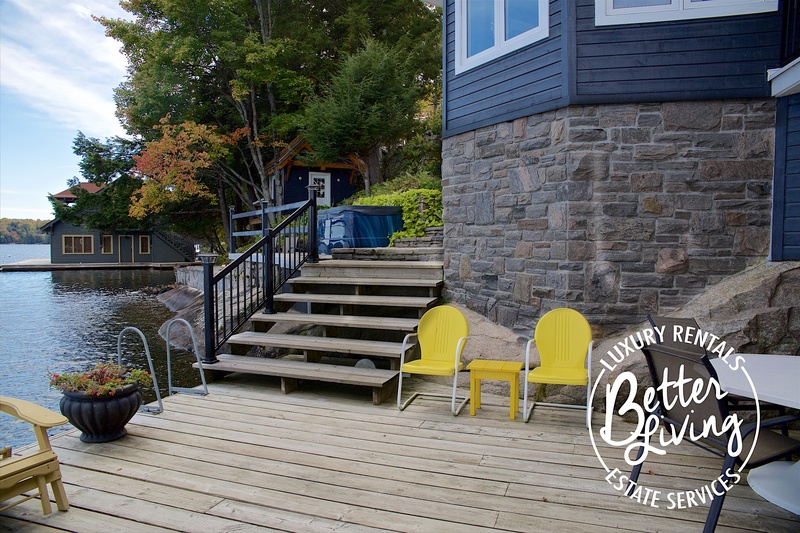 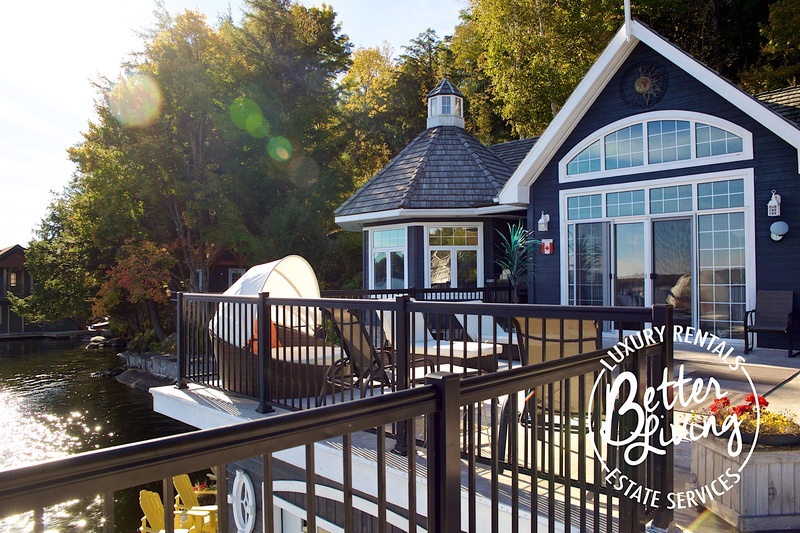 Recently renovated and modernized, this property provides luxurious accommodation for up to 10 people in one of the most desirable locations on Lake Rosseau. 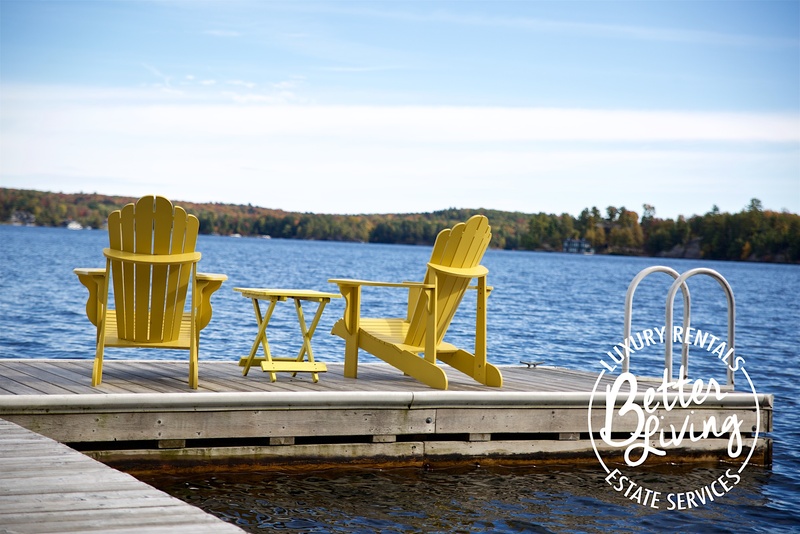 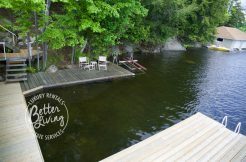 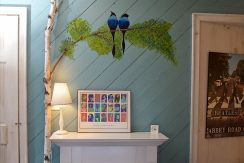 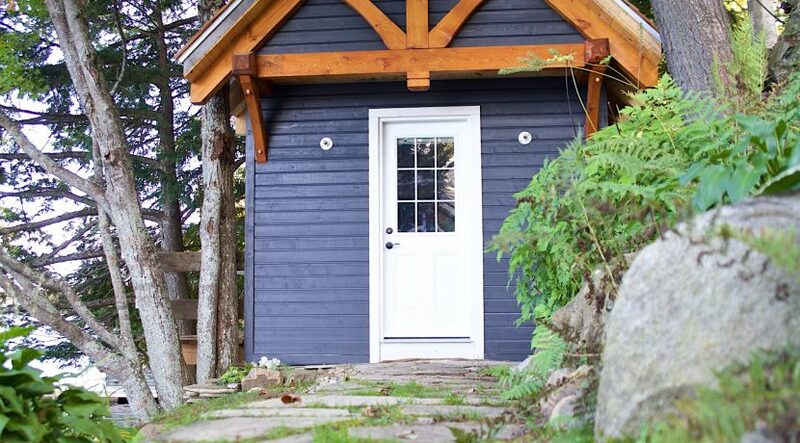 2 minutes by road from Port Carling and 15-20 minutes from Bracebridge. 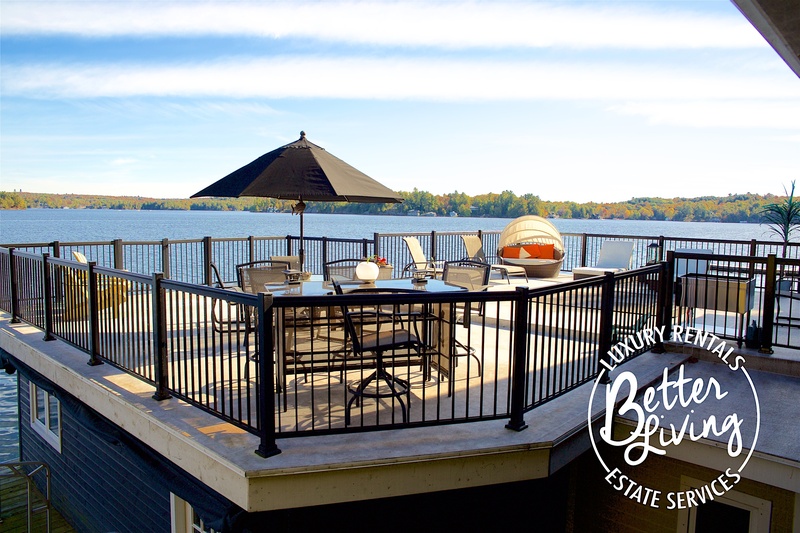 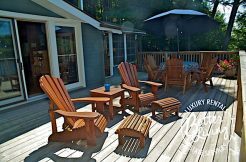 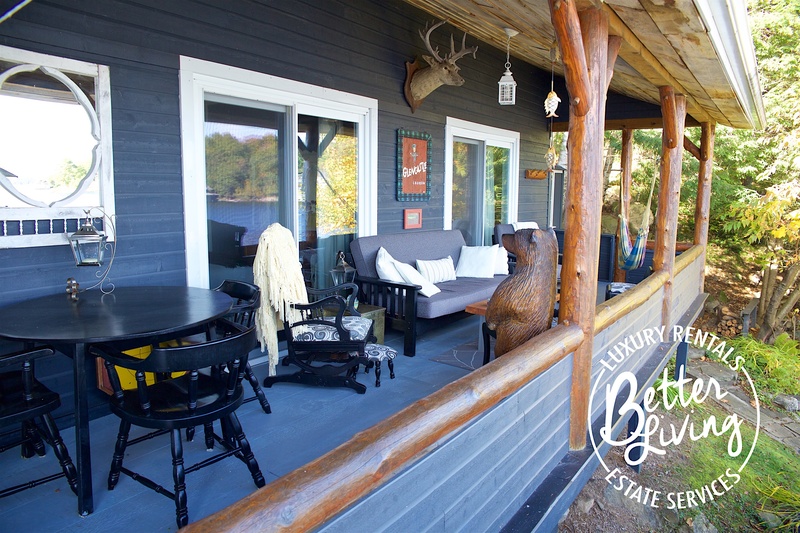 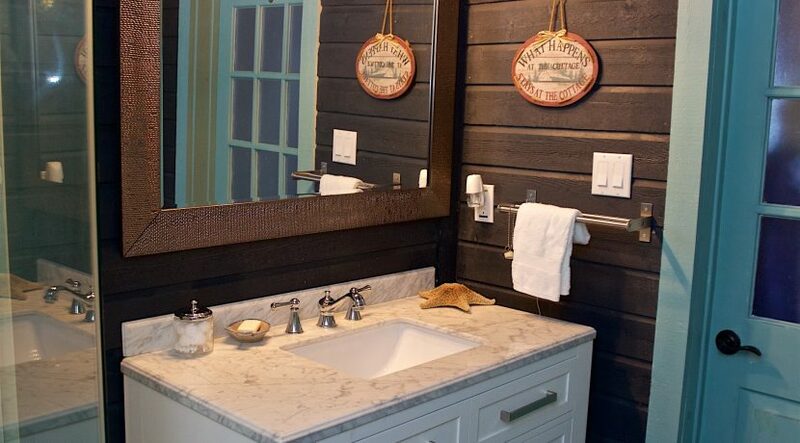 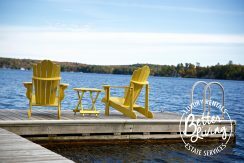 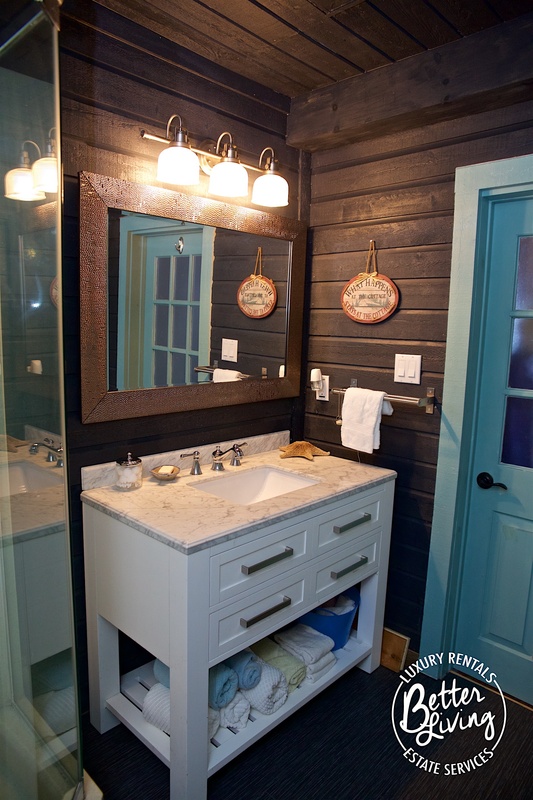 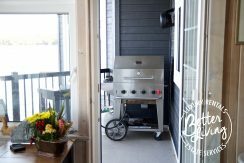 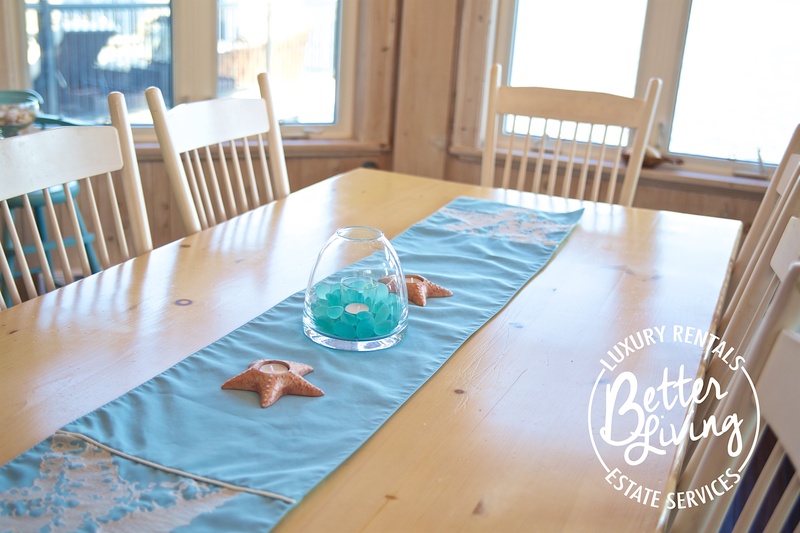 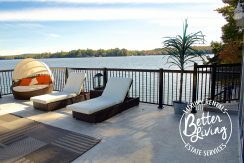 Located on Arthurlie Bay, South Lake Rosseau with Silver Lake located just behind to walk around. 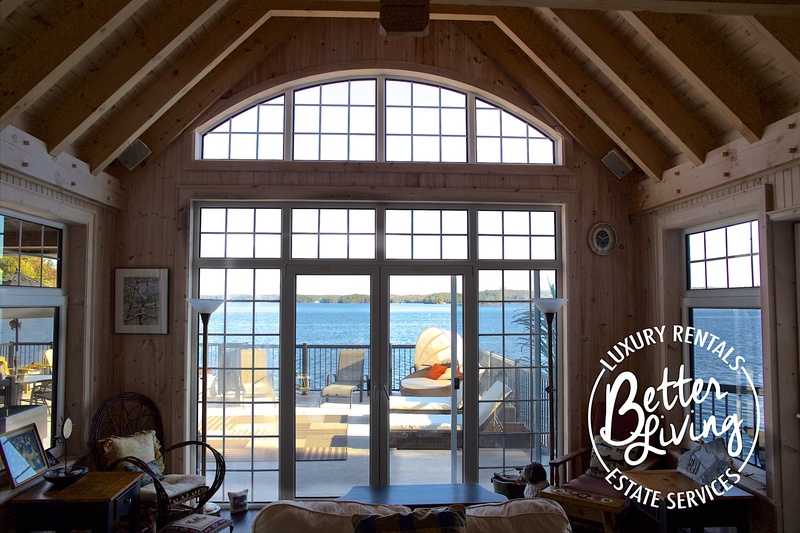 The post & beam living room leads through large glass doors onto a generous deck area with plenty of outside furniture. 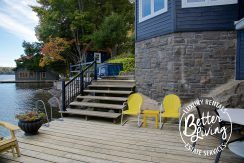 This deck is elevated above two boat slips and immediately above the lake shore so that the view from there is uninterrupted. 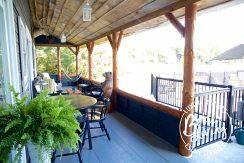 The covered porch with table, couches & hammock is a great spot for a rainy day. Beyond the kitchen is the large peaked roof dining area with seating for up to 10. 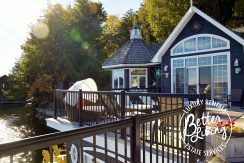 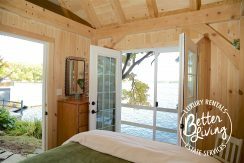 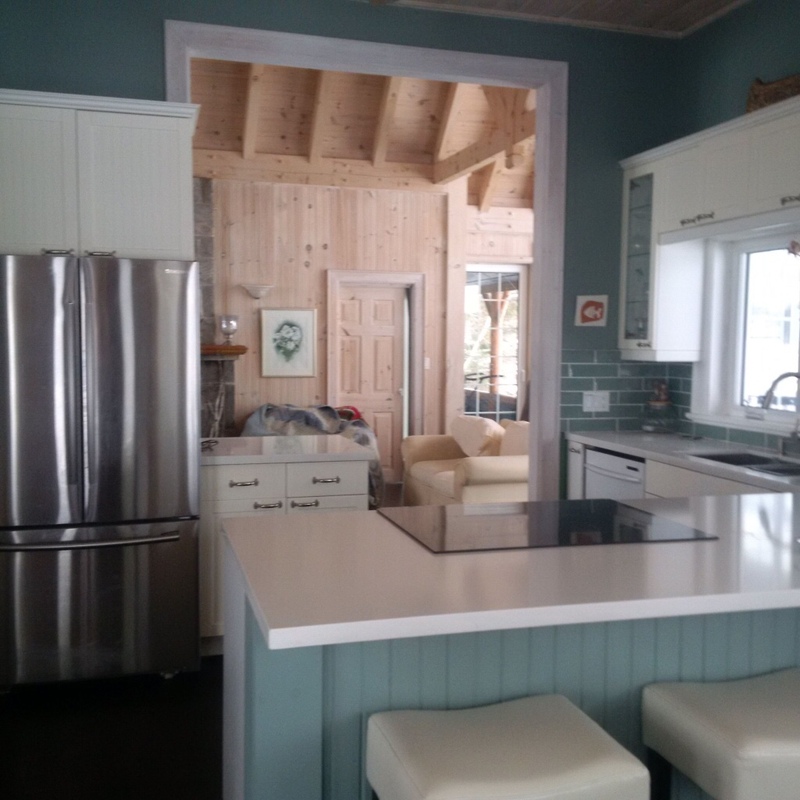 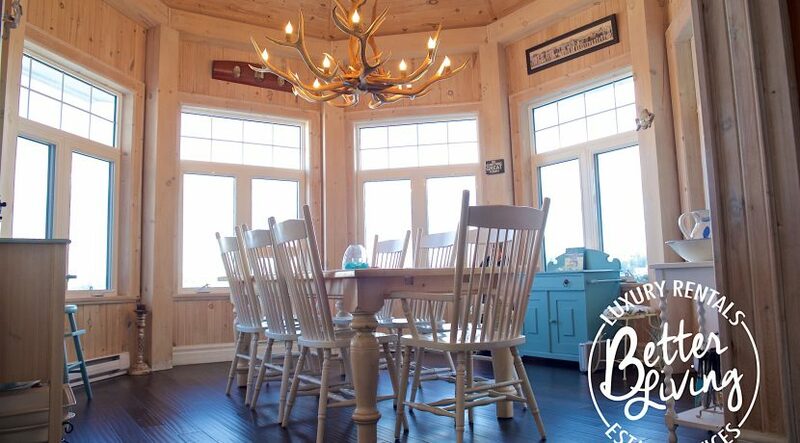 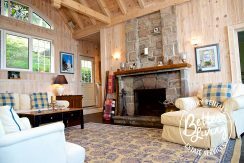 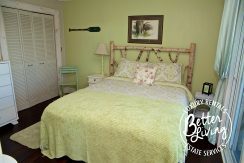 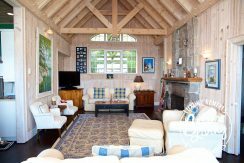 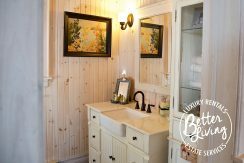 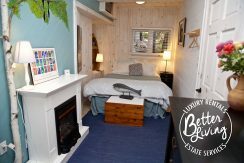 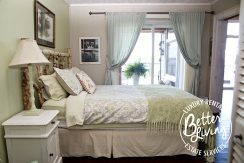 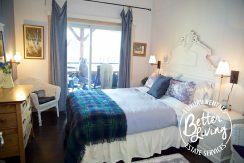 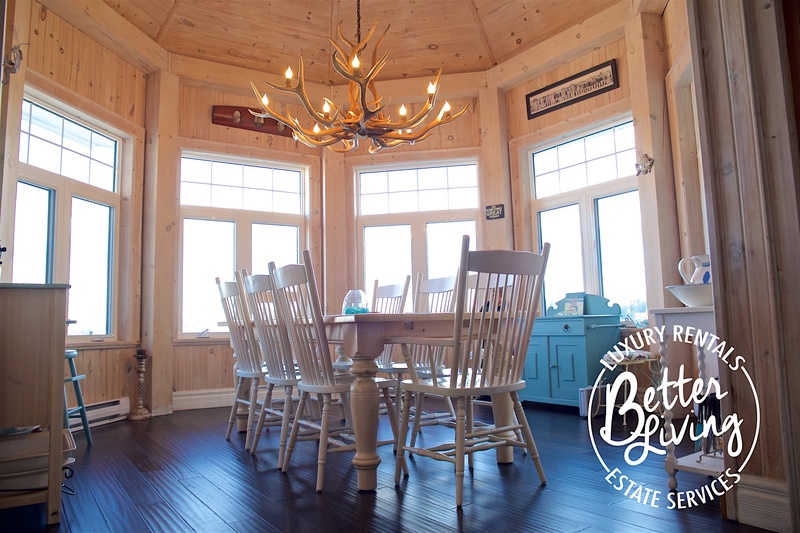 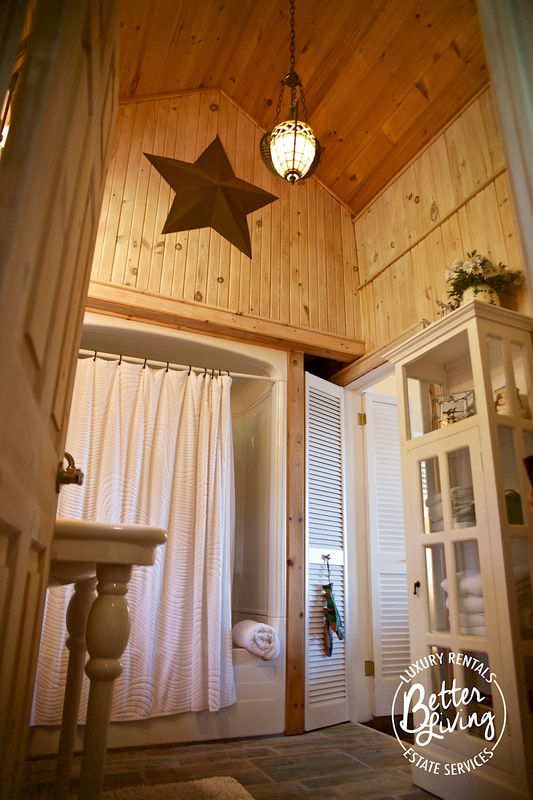 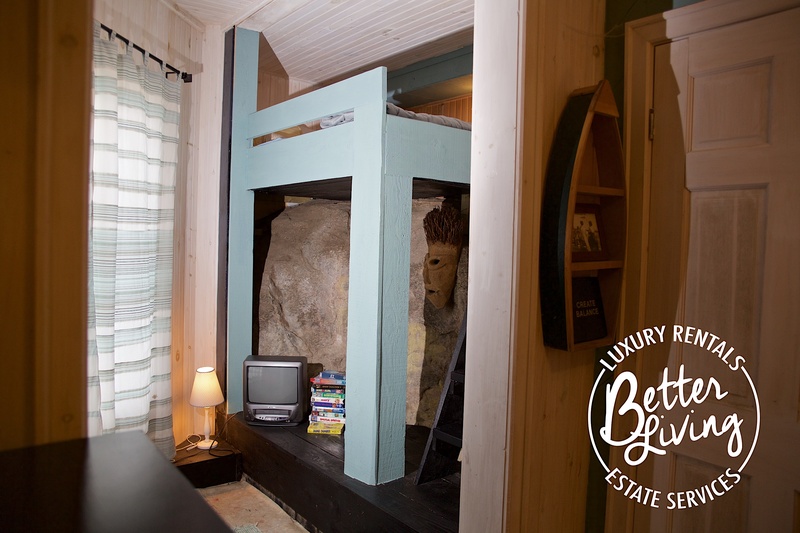 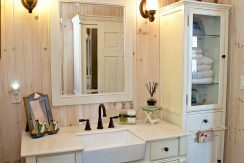 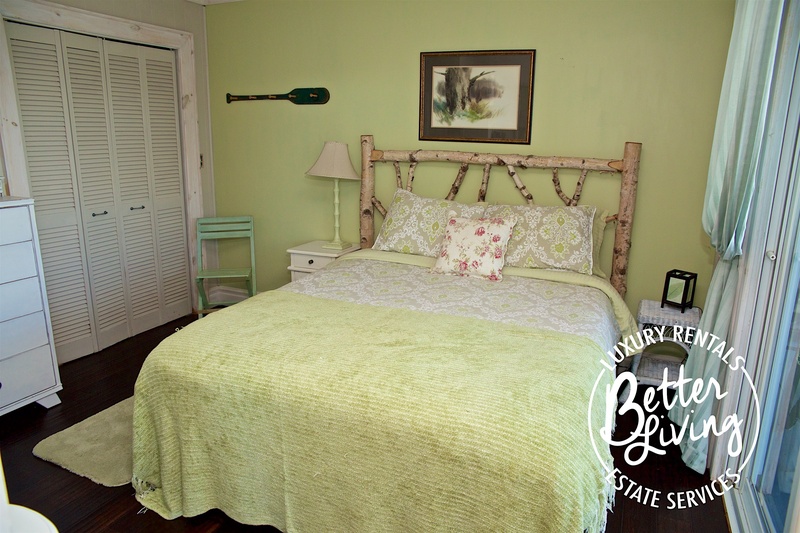 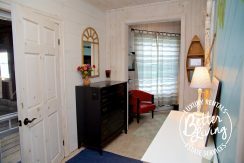 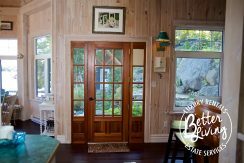 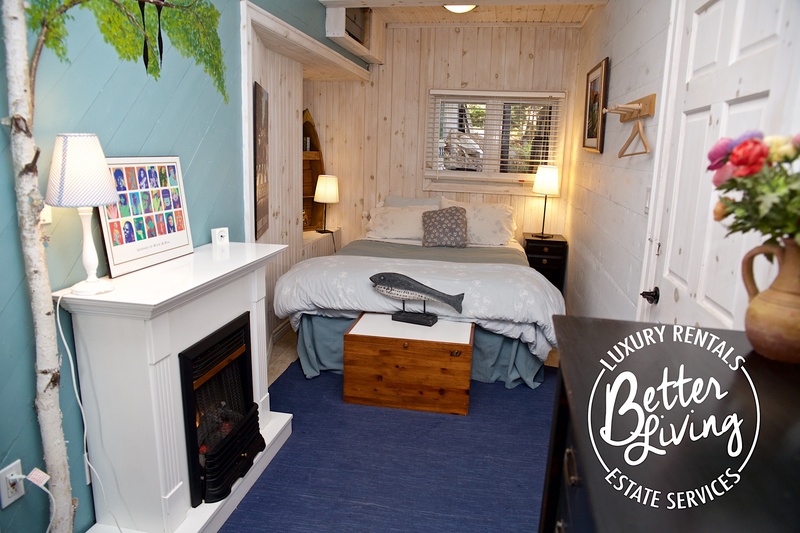 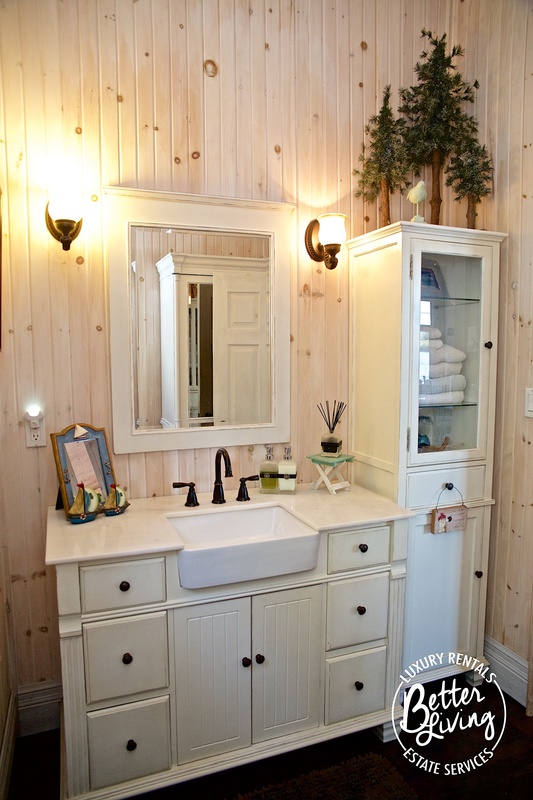 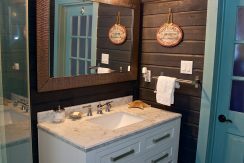 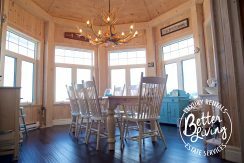 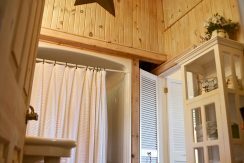 The 5 bedrooms consist of 4 queen beds and one king, 3 bathrooms – 2 x 3 piece, 3 bedrooms with porch entrances and one bedroom on the dock with Ensuite bathroom. 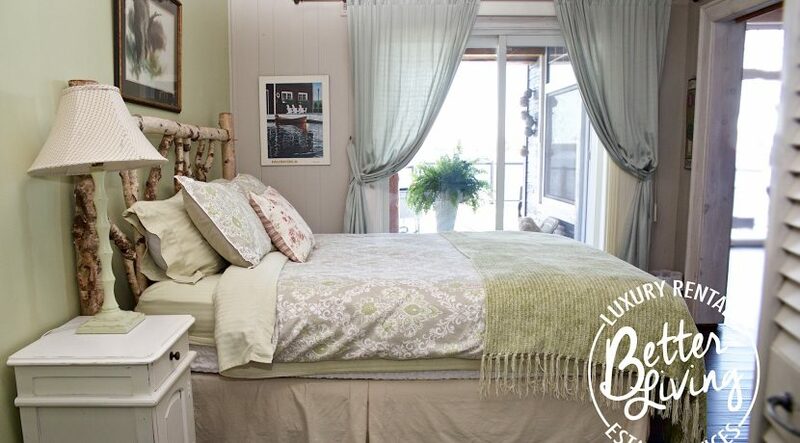 Complete bed &bath linens and basic supplies for the kitchen and bathrooms. 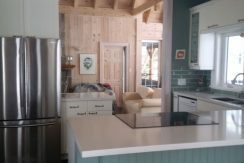 Fully stocked kitchen with dishes for 10+. 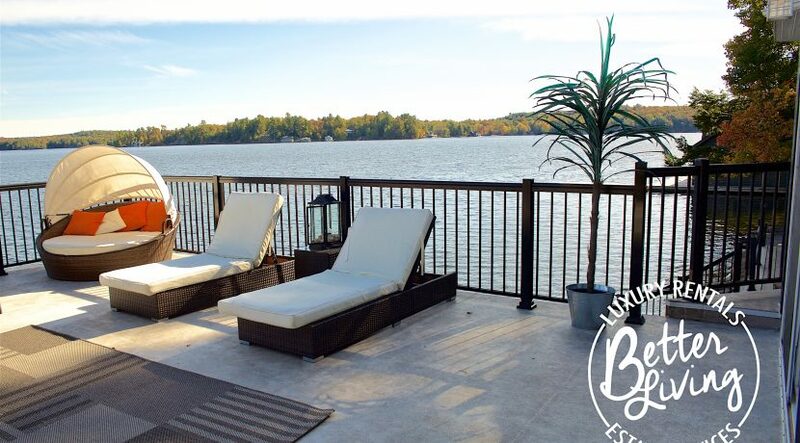 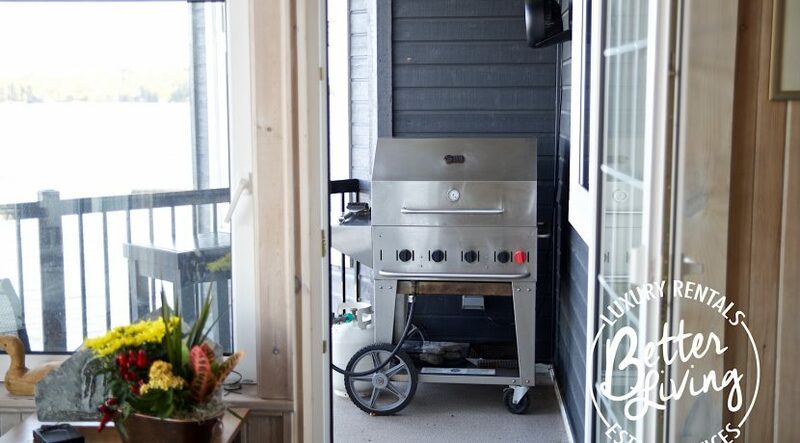 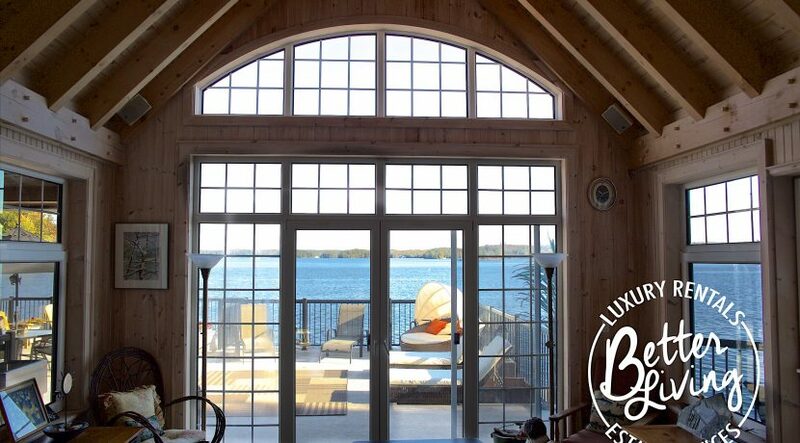 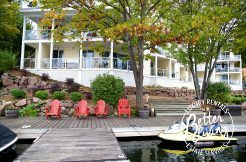 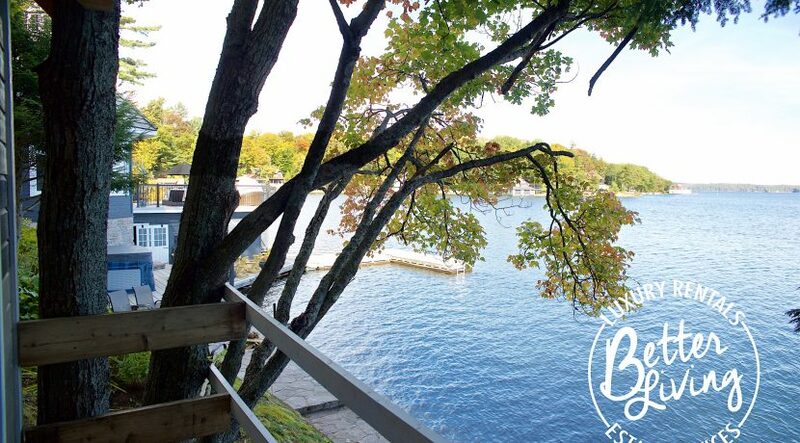 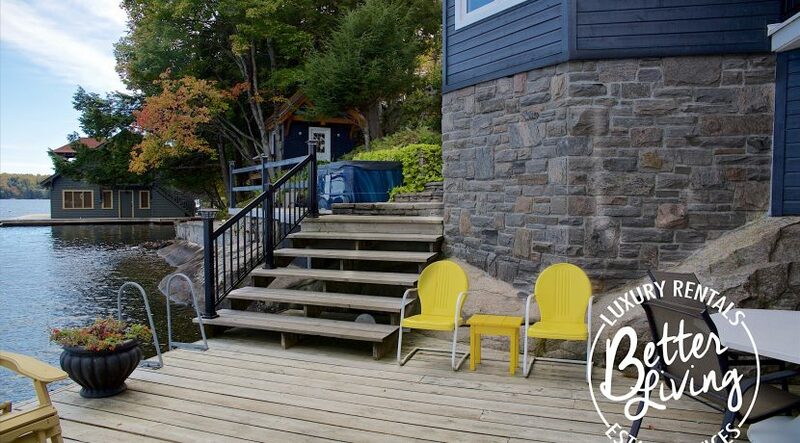 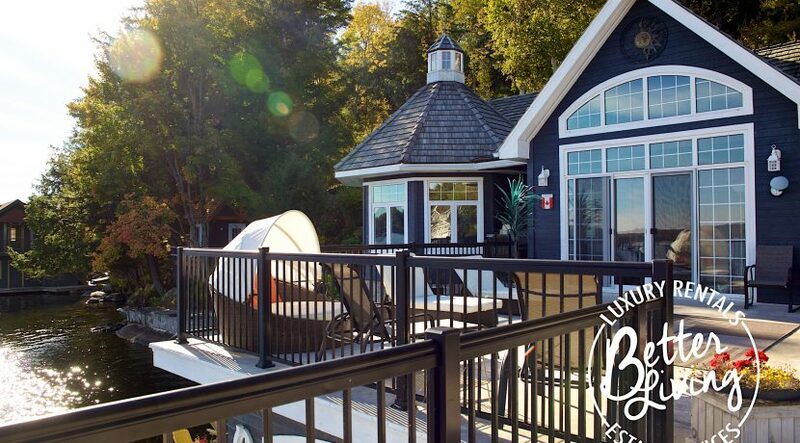 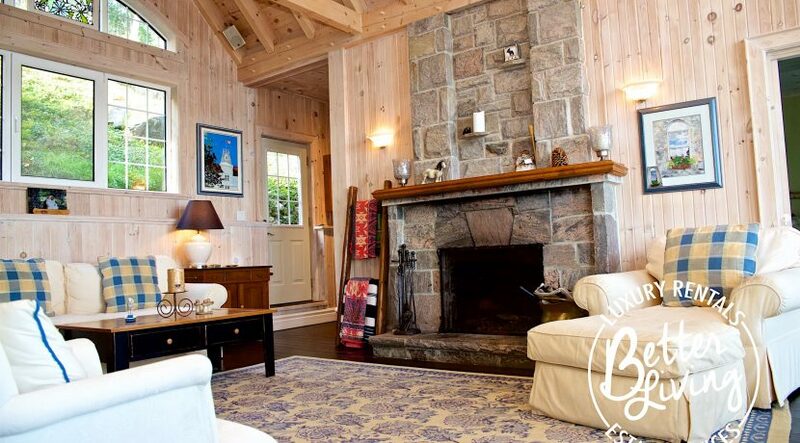 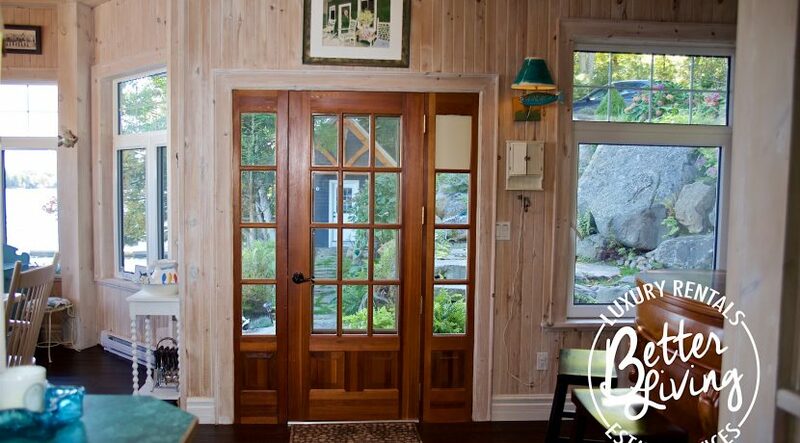 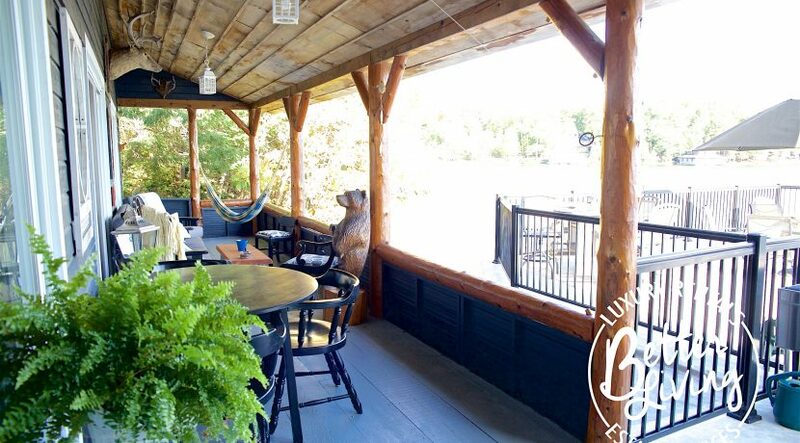 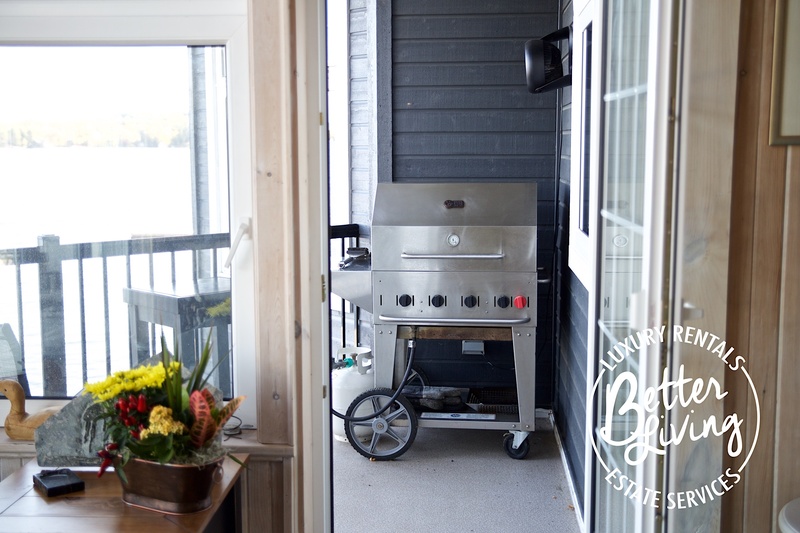 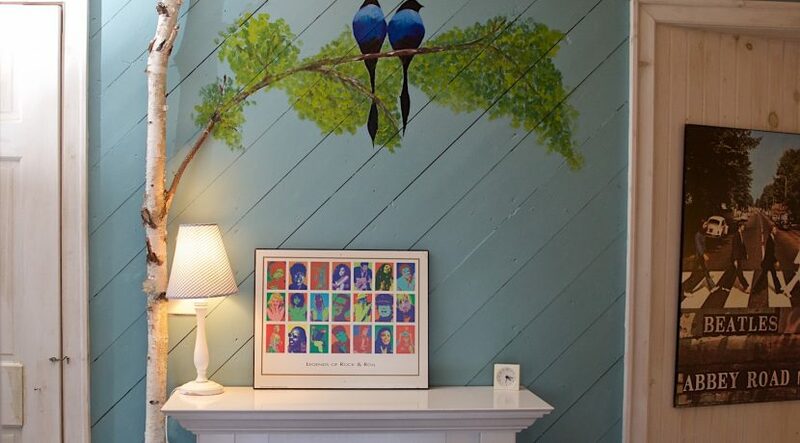 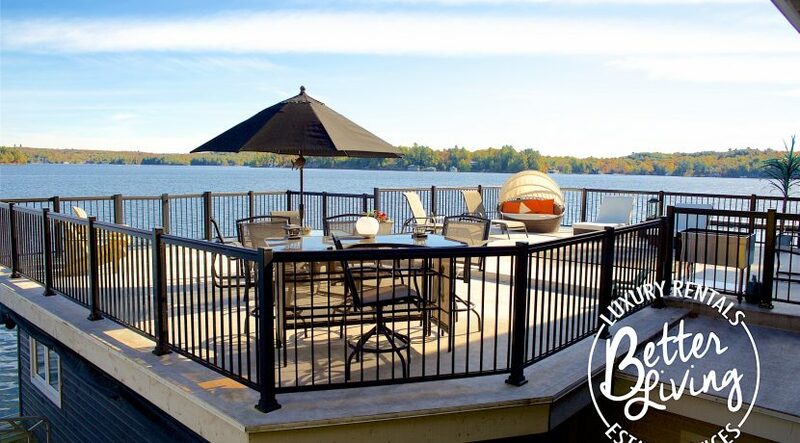 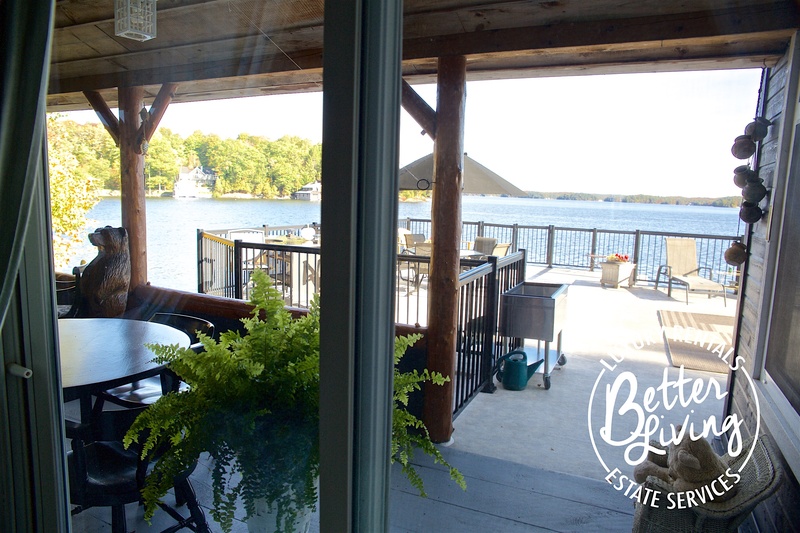 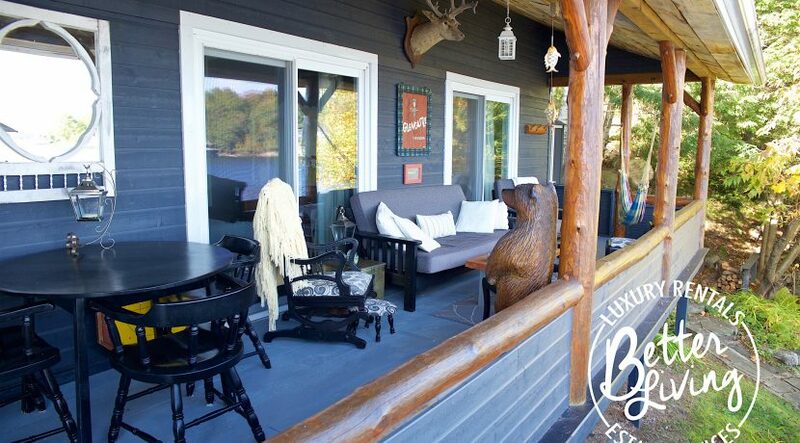 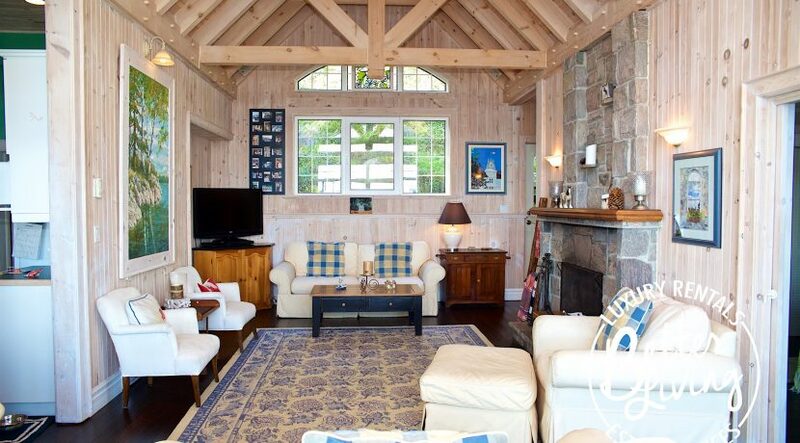 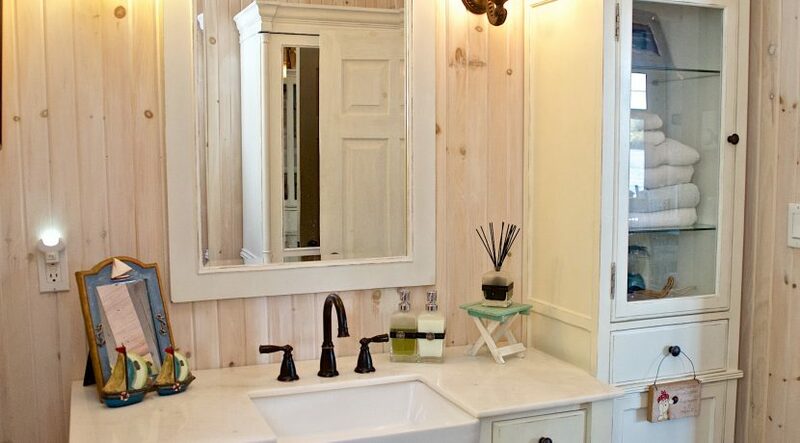 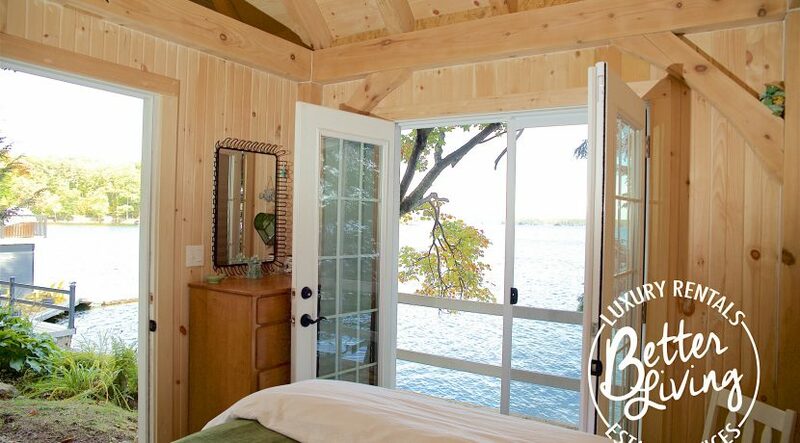 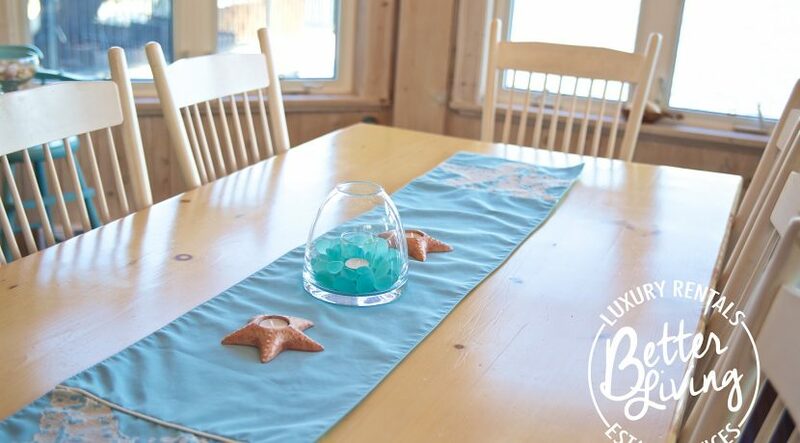 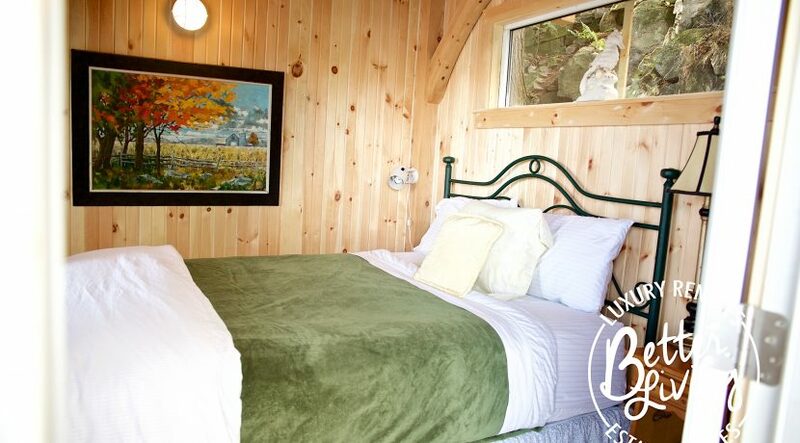 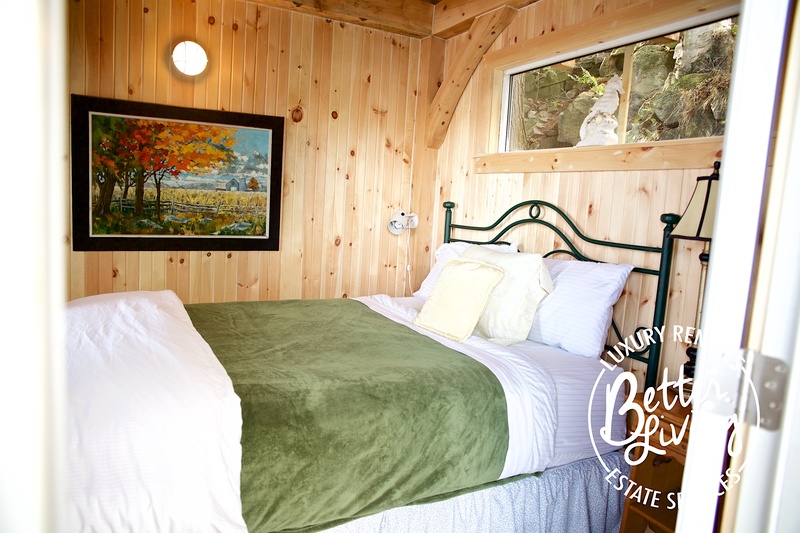 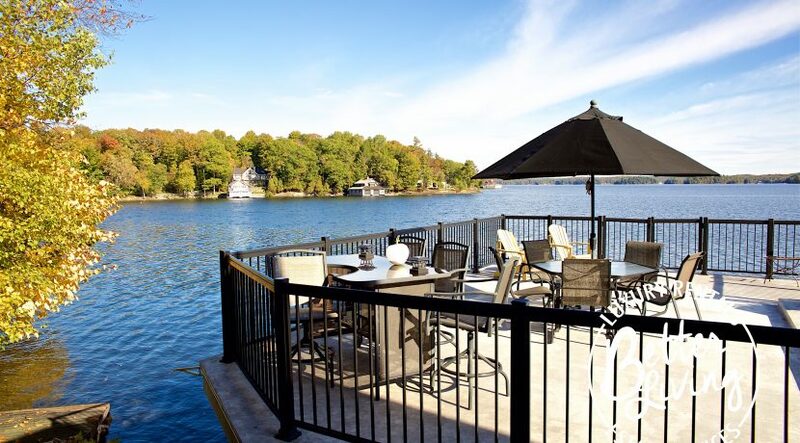 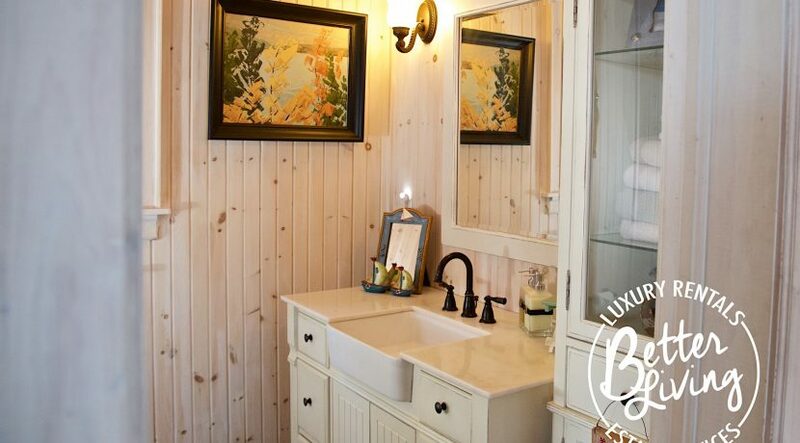 Located on South end of Lake Rosseau – 5 minutes by boat into Port Carling. 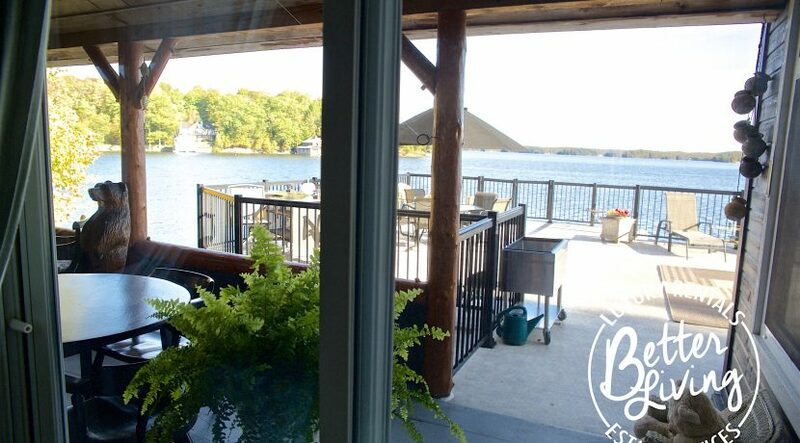 Across from Windermere House & Marina. 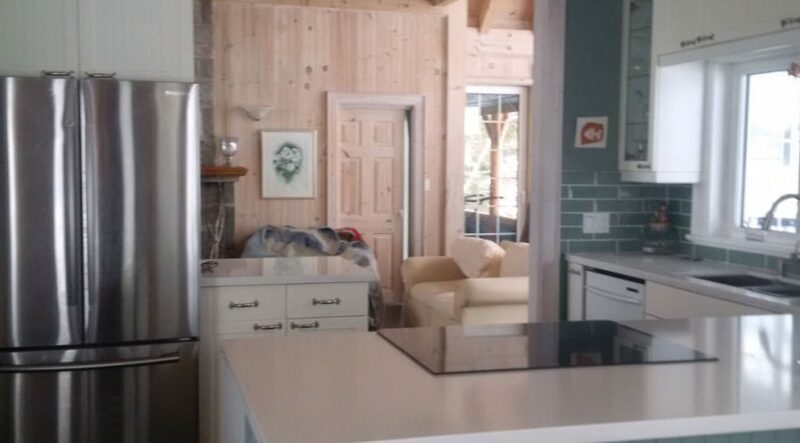 -Bright open dining room, coffee station & updated kitchen with all new appliances. 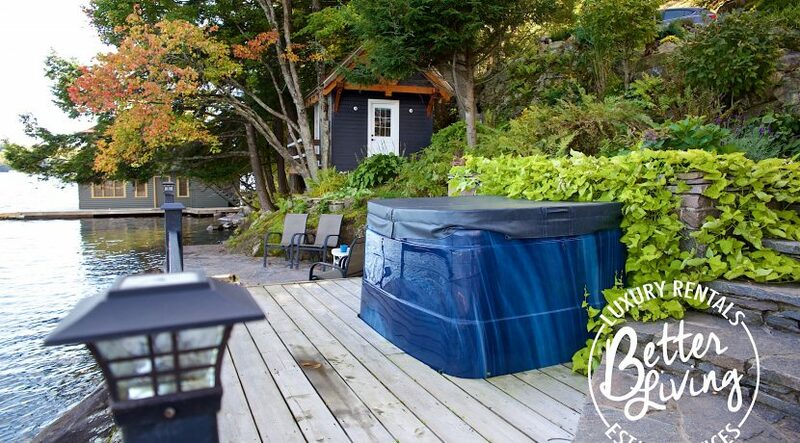 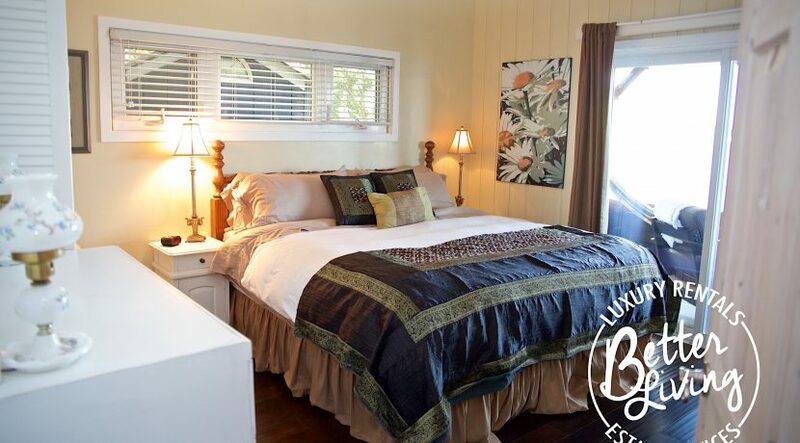 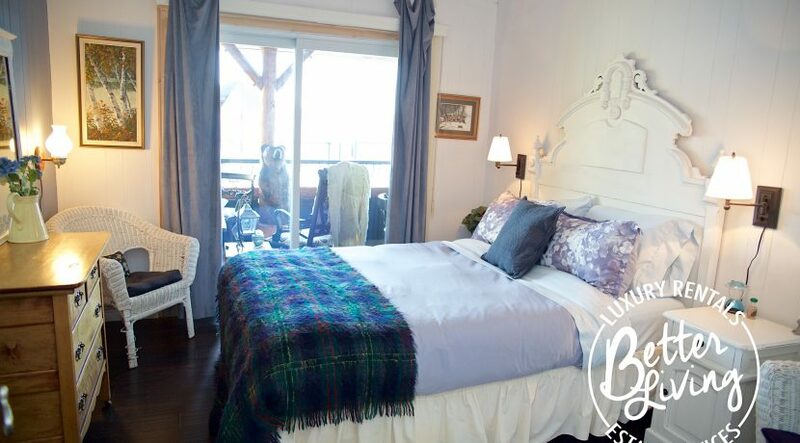 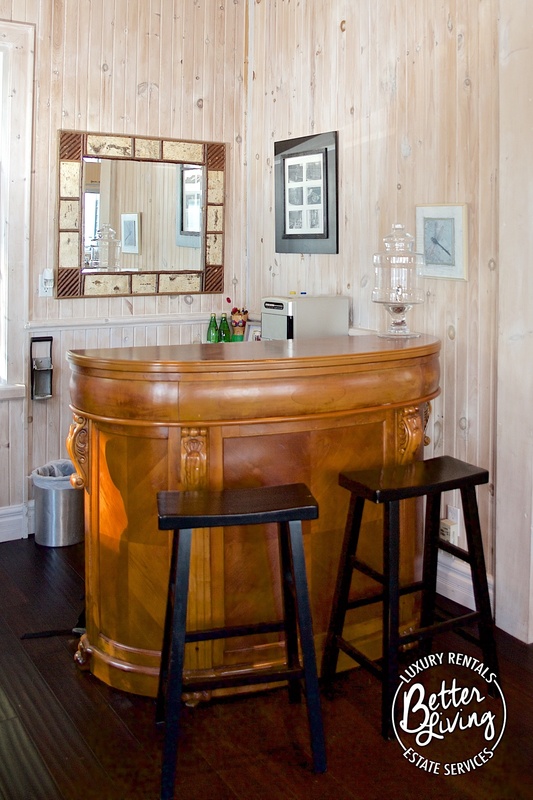 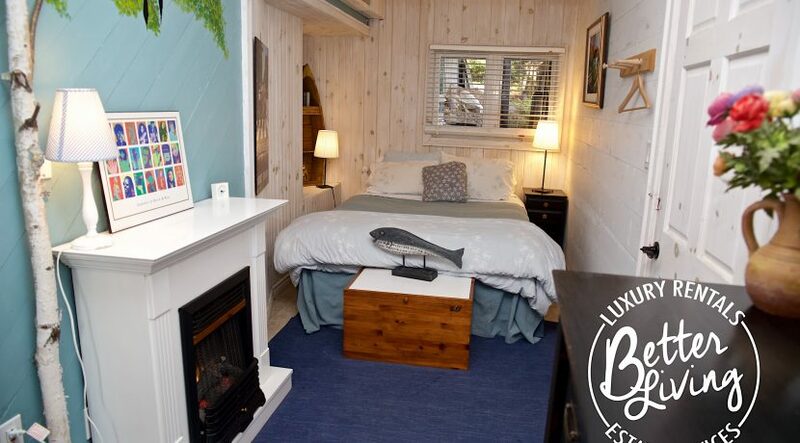 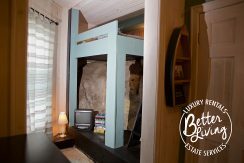 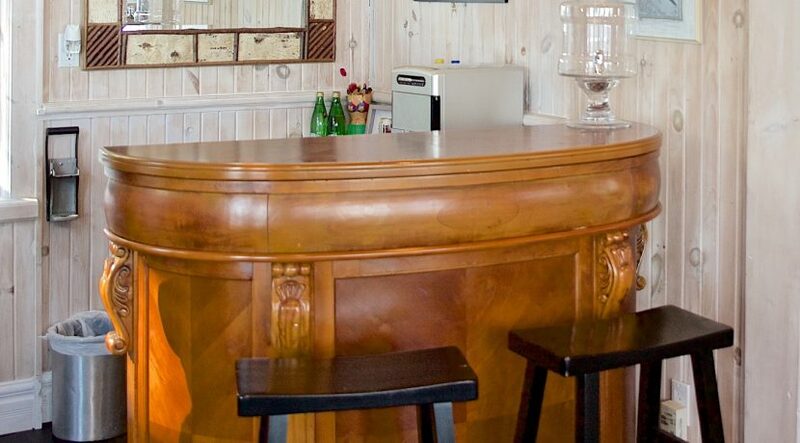 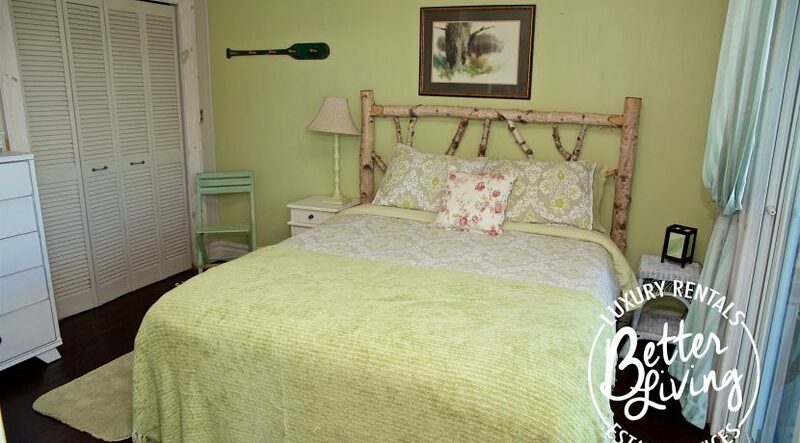 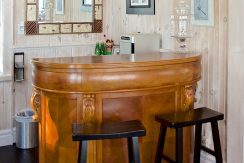 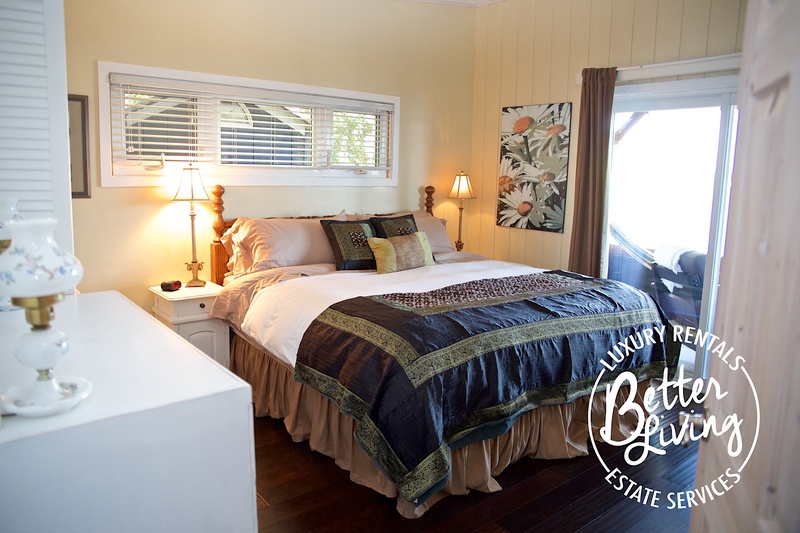 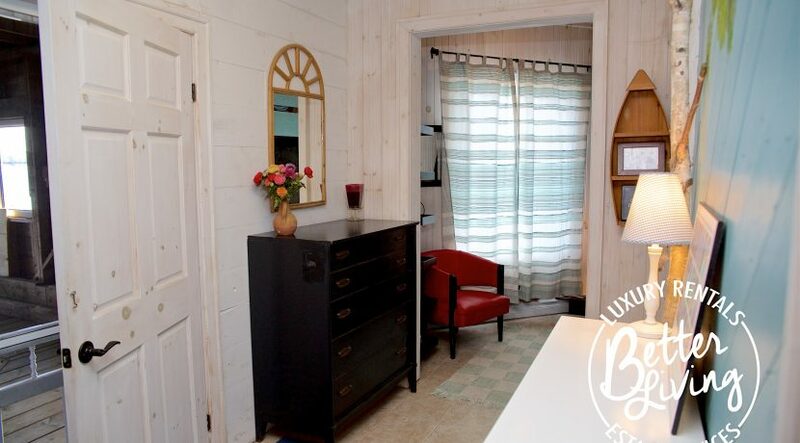 -Private retreat located in the boat house with 1 queen bed and 1 double bed. 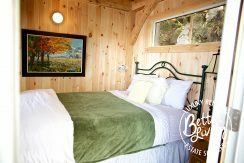 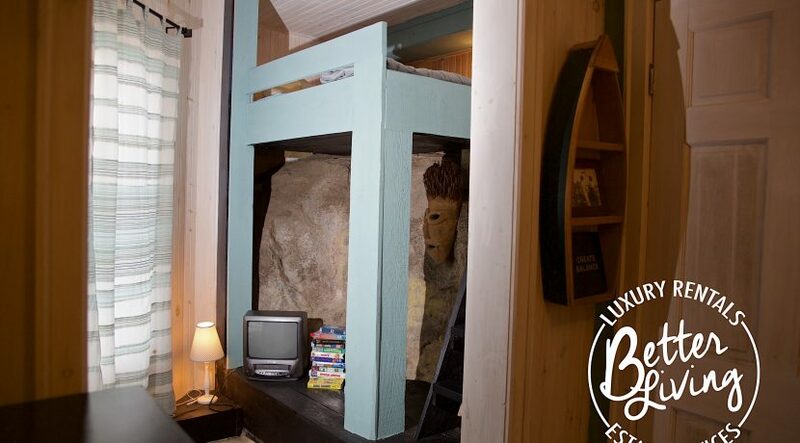 Private cabin with 1 king size bed.